Cool recent thing: I did a talk last week at Gamercamp Festival in Toronto (the last ever one! RIP) and it was covered by Games Industry – a favourite website of mine and basically the go-to source for any coverage of the games biz. The talk was part of Gamercamp’s Friday conference and basically argued that traditional games marketing is at best a bit boring (launch trailers and rehashed social media tactics) and at worst, kind of gross (booth babes and overly “male-centric” stuff) – but IT DOESN’T HAVE TO BE. Instead, if we have fun with our audiences and come up with weird, surprising ways to market our games, we can do a better job at letting players know who were are as creators (and win their genuine interest and fandom). When developers think of marketing, Hayter said they often picture a room full of suits trying to trick people into spending their money, empty buzz words like “brand synergy,” and cynically sexist ads and booth babes. Marketing games can be as fun as making them, Hayter said, encouraging developers in the audience to eschew the standard tactics of selling games in favor of solutions that were fun, weird, and surprising. He gave some examples, including a Super T.I.M.E. 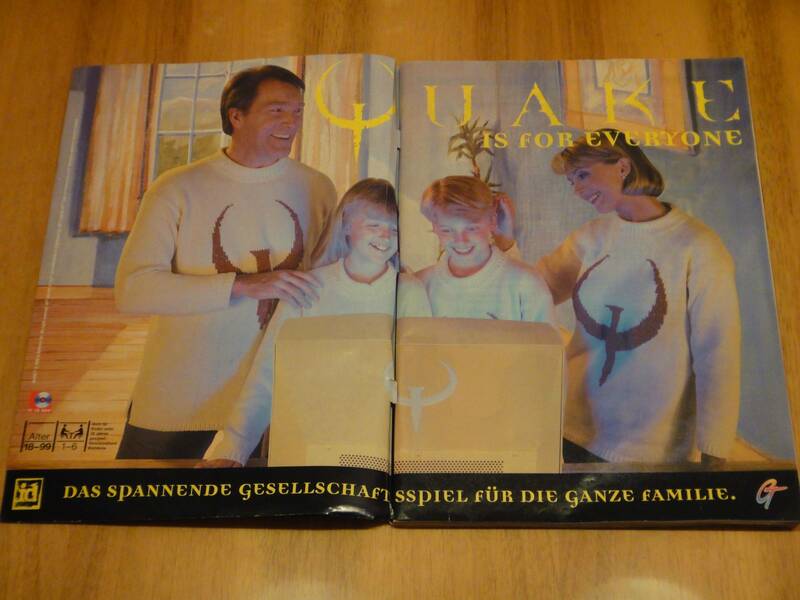 Force trailer that cribbed the style of Saturday morning cartoons of old, Nintendo’s original Super Smash Bros. TV spot, and a German magazine ad for Quake portraying the id shooter as part of an idyllic family portrait.